* Hikers are advised to bring bug spray for this trail. 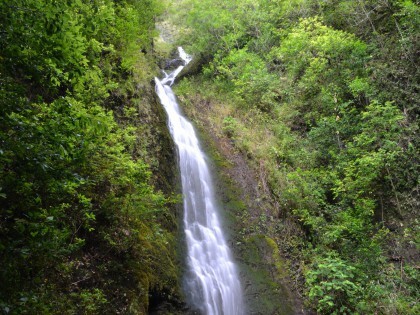 Located just steps from the Pali Highway, Kapena Falls is O’ahu’s most accessible waterfall. Within minutes, hikers become surrounded by the thick forest. The trail is incredibly short, and the falls come into view almost immediately. The trail leads down the the pools edge, offering a great view of the 20-ft cascading waterfall. For adventure seekers, a local cliffjumping spot is located at the top of the falls, but injuries have been known to occur. 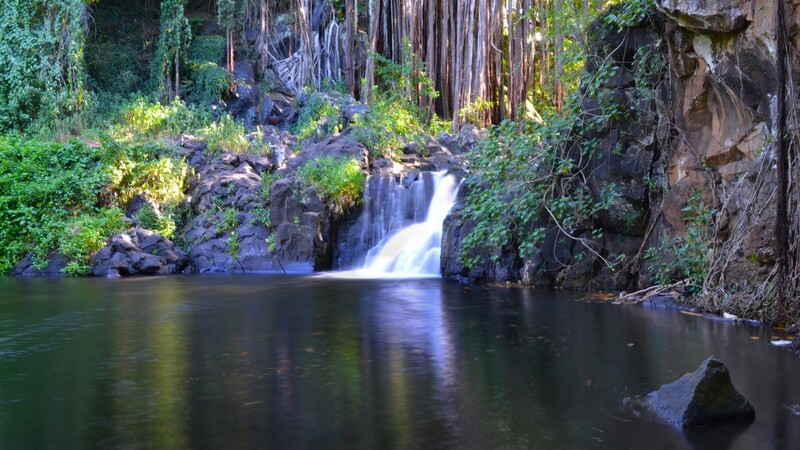 Located along the trail just a few minutes south of Kapena Falls is Alapena Pool. The cascades here are significantly smaller than Kapena, but beautiful just the same. Also, keep your eyes out for a small cage on the Ewa-side of this pool, which protects a section of the Nu’uanu Petroglyphs, ancient Hawaiian drawings. The petroglyphs in this area contain man and dog images, strengthening the legend of Kaupe, a mythical half-man/half-dog that was known to terrorize the area. 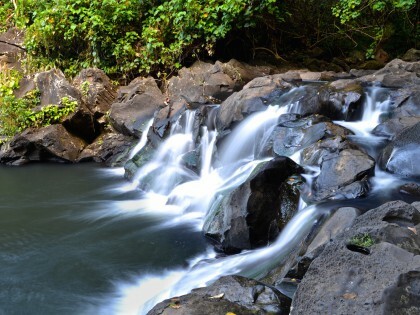 While Kapena Falls and Alapena Pool are a fun stop to make, make sure you lather yourself in bug spray, as the mosquitoes in this area are particularly aggressive. Also, use your best judgement on entering the water, as both littering pollution and the bacteria Leptospirosis are very common here, so swimming is not advised. By car: Heading southbound on the Pali Highway (H-61 S), pull into the turnout overlooking the pagoda and cemetery just after the Wylie Street exit. Walk on the side of the road (against traffic) back the way you came. The trail begins on the left when the stone wall ends and the guard rail begins. Follow the path down to the waterfall and the stream below. 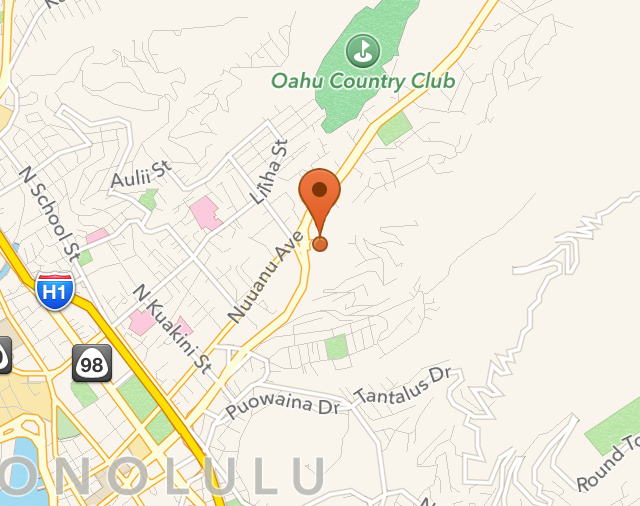 This area is culturally significant and considered by Hawaiians to be sacred. It is an easy, beautiful hike, but please no "nature tagging" and take your trash back out with you.